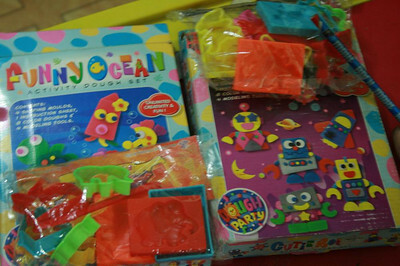 Anding's Toy Store in Divisoria also sells really affordable play dough sets and molds. 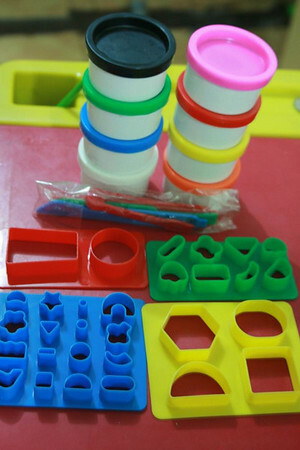 I usually go there to buy these sets but do not let my son use the play dough that comes with it (because I would rather stick with branded ones that I know are non-toxic since my son still has a tendency to go licking). 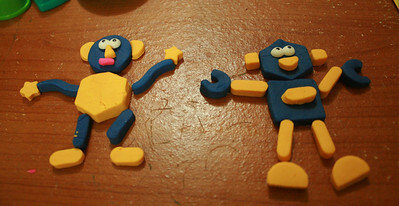 For older kids without sensitive skin though, I think the play dough being sold at Anding's are good enough. 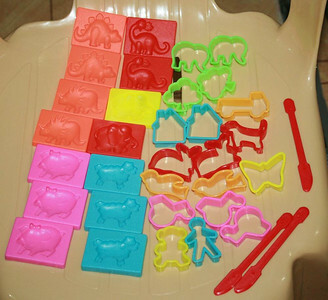 Anding's also sells play dough in small pails. 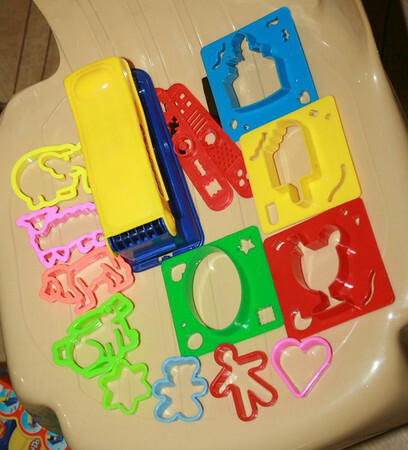 There are also other molds being sold there, like the one from Play Doh (with extruders) but I wouldn't recommend the crank-style one from Anding's as it breaks easily.